Time for another shoe shopping trip! Check out Crazy About Shoe SALE. 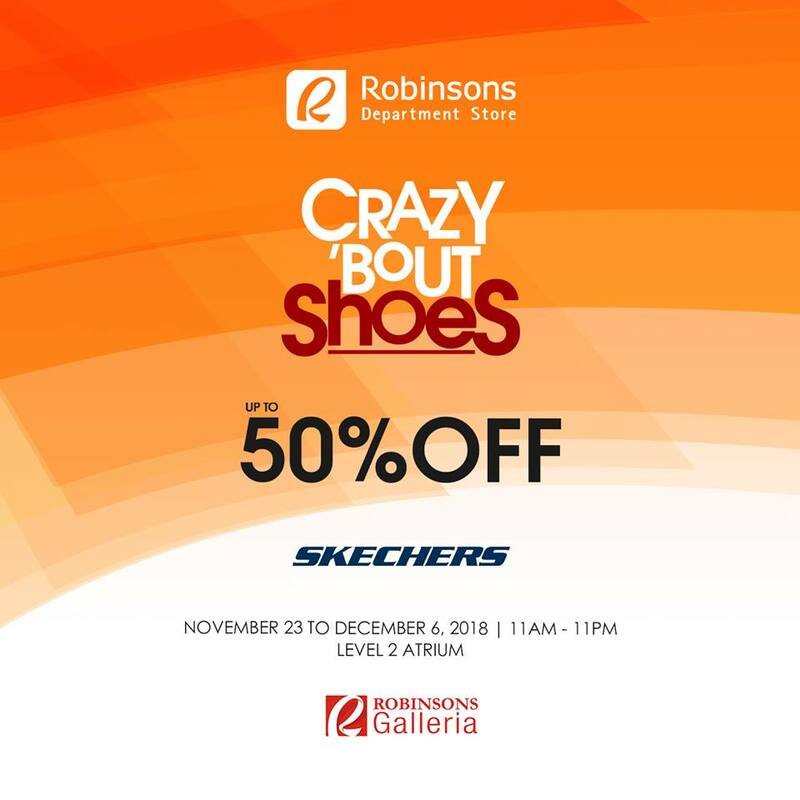 Visit Robinsons Galleria, Level 2 Atrium from November 23 to December 6, 2018, and enjoy up to 50% off on select items from Skechers.